I continue to be excited about the new edition of D&D. I got the Starter Set a few days ago. I'll abstain from the gratuitous unboxing post since those are all over the Net right now. As much as I am looking forward to the official Player's Handbook, I think the Monster Manual is what I am most looking forward to getting into my hands. I love creating monsters and this edition seems to be pretty easy to stat up beasts, just enough crunch but not too much. Continuing my theme from last time of Gonzo kinda of stuff, I present Battle-Bones! Immunities: Battle-Bones is immune to disease and poison. It cannot be frightened or put to sleep. Battle-Bones does not need to sleep, eat or breathe. 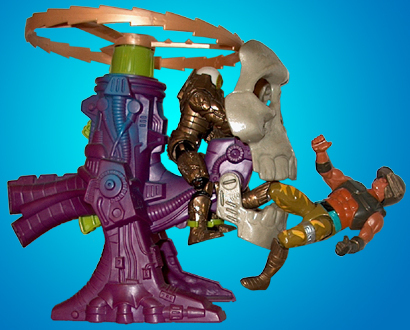 The beasts rib-cage has been magically altered to allow a rider to ride "comfortably". Battle-Bones can transport up to 12 medium-sized humanoids without suffering any encumbrance or movement penalties. . 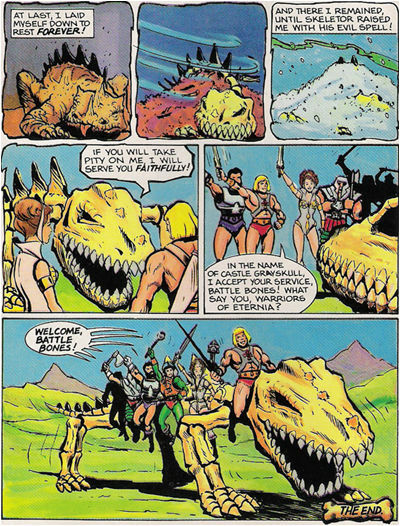 The product of necromantic magic, Battle-Bones is the animated skeleton of a huge reptile from a forgotten age that has been turned into an unrelenting tireless combat transport, that needs neither, food, water or rest. Use of a handy "Speak with Dead" spell perhaps? 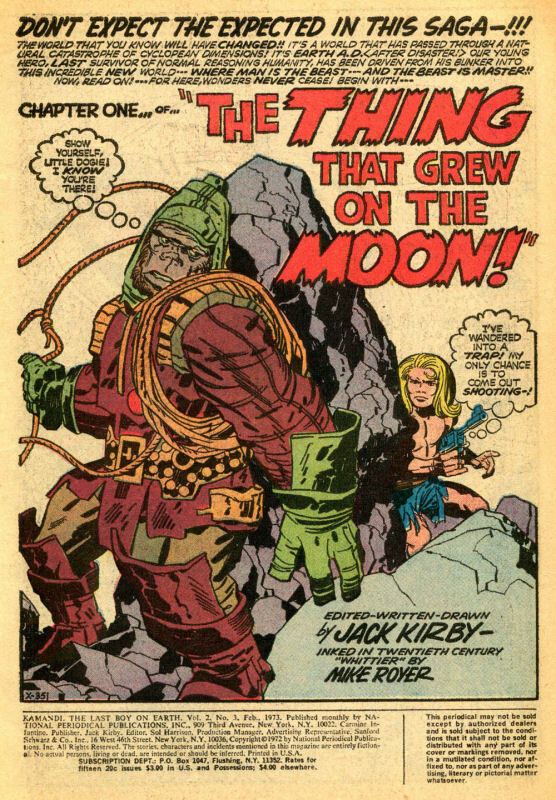 Just a little Kirby Classic Kamandi art to spice up your Simian Saturday. Speed: Flying 200 Max Speed/100 speed when "carrying" a victim in its jaws. 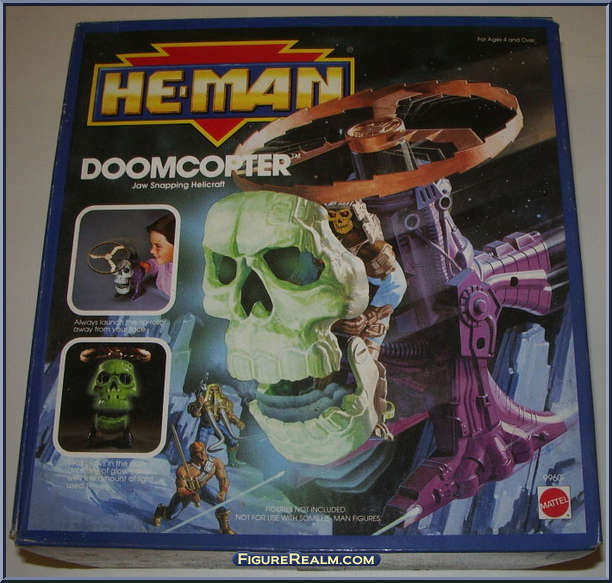 The Doomcopter is a frightening one-man helicopter powered by eldritch necromantic energies best forgotten. What it lacks in durability it makes up for in frightening aspect. 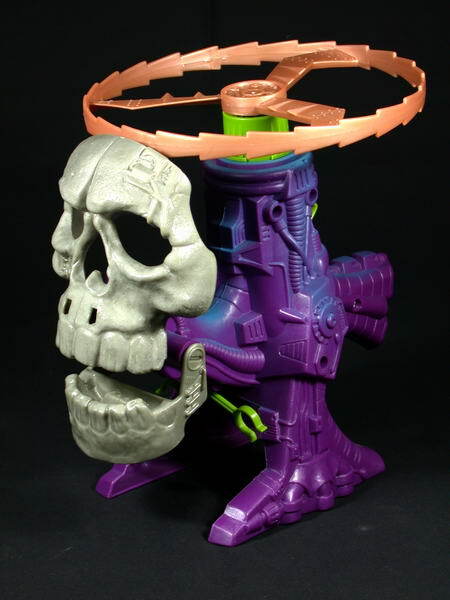 The front of the craft is a giant skull that can glow with an eerie green energy. Upon seeing this glow, foes must make a DC 12 Wisdom save or suffer the Frightened condition as detailed below. The Frightful glow effect does not work in daylight conditions and can only be activated for 1 minute at a time (Recharge 5-6). Frightful Presence- A being or creature that starts its turn within sight of the glowing skull must make a DC 12 Wisdom saving throw. Failed Save: the target has the Frightened Condition for 1 minute; while frightened the affected creature must move away from the Doomcopter. As an action, the frightened target can make a DC 14 Wisdom or Charisma check to end the effect. Successful save; the target is immune to the Copter's Frightful Presence for the next 24 hours. This immunity also applies once the effect ends. Damage Resistance (Necrotic)- Powered by Arcane Necromantic Energies, the craft and its pilot gain resistance against necrotic attacks. Rip-Rotor- As a last ditch attack the rotor blades can be launched at a foe (Range 100/400) on a successful hit does 4d6 slashing damage, doing this will cause the vehicle to crash! I will no doubt tweak this one down the road, when the DMG and MM come out I will have a better handle on things, but for my first test run err.. I mean flight I kinda like how this turned out. 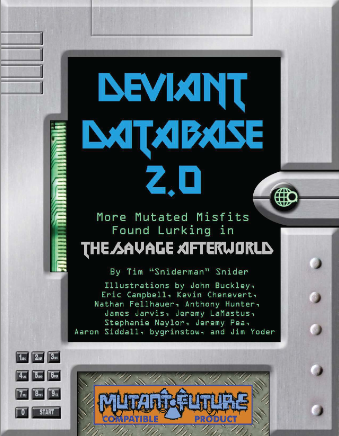 I neglected to mention that Sniderman has released the second book in his Deviant Database series. It's probably a good thing that I didn't have this in my hot little hands yesterday or the game would have gone in a completely different direction, heh heh heh. 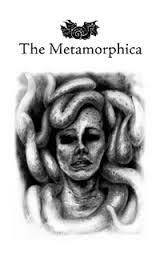 This book has some great mutant beasties that are perfect for your Post Apocalyptic World (and yes many fit right in with the Islands of Purple-Haunted Putrescence!). I think the Equusaw is my favorite, a unicorn-like beast with a chainsaw for a horn!! OMG! I must use that in my games! There are several unusual mutant beasts that will shake up your Mutant Future Campaigns! I was able to get some gaming in today. Myself and a few friends (old and new) were able to get together at the FLGS. I had planned on running the D&D Starter Set adventure, but my copy hadn't arrived yet. Work has been busy, so I didn't really have time to put anything else together. So I grabbed some books on the way out the door and we just rolled with it! Since I've had great success in the past running Mutant Future pick up games and one of my players is a big Thundarr the Barbarian fan, that's what we did. We had an awesome time!! 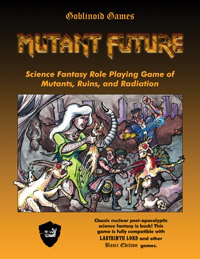 It was a hybrid game using Mutant Future as the core with some D&D 5E rules tacked on. The players were a bunch of miscreants, outcasts, and criminals sent into exile to the Islands of Purple-Haunted Putrescence. They started the session with crap for gear (randomly rolled) locked in the ship's cargo hold with other dredges on the rust-bucket ship the S.S. Sludge-Minnow. Captained by Groll The Hunchback and his first-mate the obvious android Robort the Hook, along with a crew of irritable Pig-men. They were crossing the Slime Sea to be dumped on the Islands. It was a Wild & Wahoo Gonzo game, that I won't soon forget and I mean that in a good way. When I got home this evening a couple of packages were sitting on my front porch. Inside the boxes I found a plethora of goodies that I recently ordered. I won the D30 Sandbox Companion PDF in a contest awhile back, and liked it so much I just had to have it in print. Both it and the D30 Companion will be perfect resources for my upcoming D&D Campaign. The Islands of Purple-Haunted Putrescence is a sci-fantasy gonzo setting. 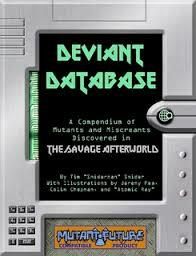 Not sure if I will use it with D&D or Mutant Future (or both), lots of interesting ideas to be found therein. Warriors of the Red Planet, I mean it's John Carter of Mars done up OSR-Style, how could I not pick it up! I'm still waiting on my Castle of the Mad Archmage pack (RPGNow screwed up my order) and my D&D Starter Pack. I bought all this with some recent birthday funds, so She Who Must Be Obeyed is fine with it. Woo Hoo! It's a great time to be a gamer, I just wish I had more time to game! 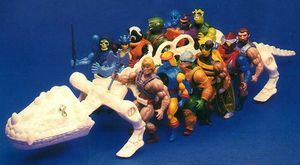 Now the question is do I run a straight vanilla D&D Campaign; elves, dwarves, hobbi...er I mean halflings and such or do I go over the top gonzo with mutants, magic, ape-men and ornithopters! 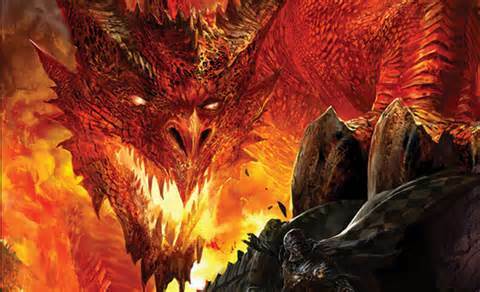 Reading the D&D Basic PDF caused me to think back to my old Campaigns from back in the day. I went and dug around in some old folders in the attic and found this! 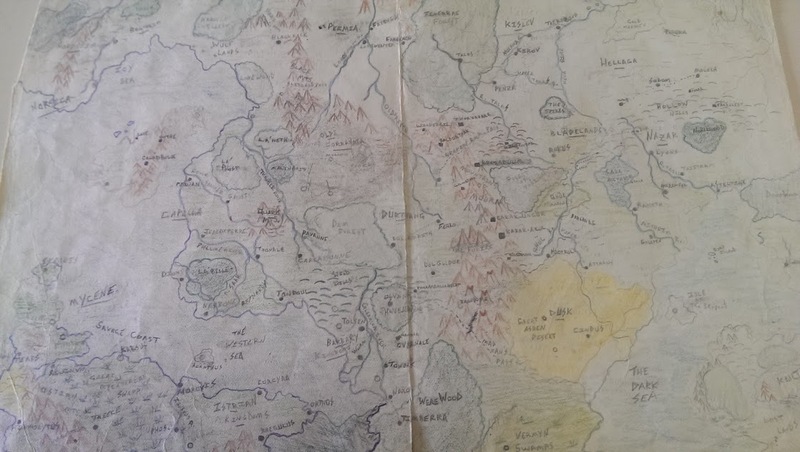 It's the map of my AD&D Campaign from early High School to College, mid-80's+, I called the world Vaarda. I ran this Campaign off and on for over 14 years. Great Memories. It's not particularly original, borrowed bits and pieces from Tolkien, Warhammer, Medieval Europe, Rolemaster etc, but we had tons of fun with it. One of the original players of this Campaign died a few years back in a tragic accident. I introduced him to the hobby in middle school, he wound up loving the game even more than I did, his parents got mad at me for teaching him the game, they thought it was Satanic (this was the 80's don't ya know). We had some great times and some great games. My best friend since 7-8th Grade played in this world a bunch also. He moved away years ago, but we still keep in touch and talk about gaming sometime. I think its time to get him to dust off his dice and get something going. A friend of mine has been singing the praises of 5e for a bit now (he was very active in the various play-tests), I always smiled, nodded politely and changed the subject. Well that has changed. At Free RPG Day I got to participate in a 5E game. I got to play. I was handed a pre-gen, given a brief (very brief) run down of the 5E rules (Advantages, Disadvantages, Short Rests, etc...) and we started playing. And it was FUN! I was back in the game! One of my other friends a regular player in my various games and a DM in his own right joined us, and he had a blast also. It was FUN!!! But I was still skeptical, this was a playtest, not the final version. I did order the Starter Set, I mean for $12, I couldn't resist, heck the dice in the set alone cost nearly that, well half that at least. Now the Basic rules have been released, for Free! I downloaded them, liked what I saw, sure there are a few things here and there that I may change, but the rules work, they have pulled some modern bits and pieces in but the old deep roots of the game that I know and love are still there. Yesterday I uploaded the Basic DnD Files to Office Depot and with a coupon got them to print it up for $11, by yesterday afternoon I had the Basic Rules in hand, hopefully the booklet will fit into the Starter Set box when it arrives.